Why can I not log-in to my account? If you are unsure what your log-in details are or still cannot access your account please do not hesitate to contact us. What day will my delivery come? 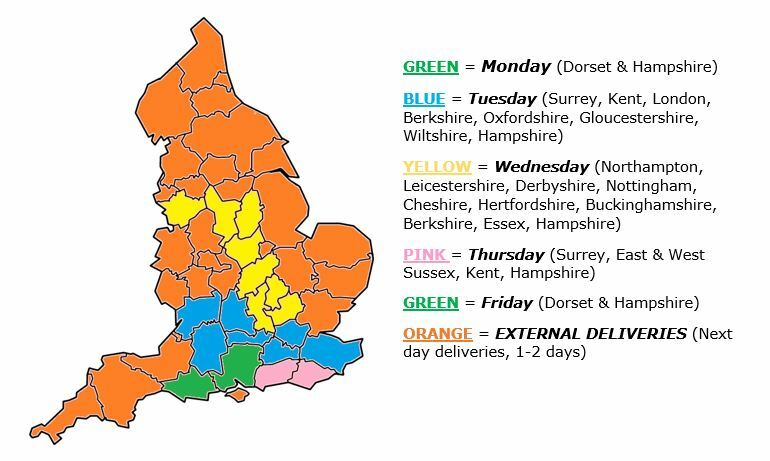 What is the cut-off time for next day delivery? Orders placed AFTER 3pm will not be eligible for next-day deliveries. Why are some items missing from my delivery? Some items may have been out of stock during the time the order was placed. These should be listed on the back-order section of your delivery note. If you would like a copy of Proof of Delivery sent to you, please do not hesitate to contact us. What Incontinence Pads are best for my resident? We are not medically trained to tell customers which pads are needed. Residents need to be assessed by a qualified nurse who can give a professional opinion. We are happy however to give guidance on absorbency levels and pack size. If your order is under �100 excluding Vat then you will incur a carriage charge. Contact us in the office if you are unsure of what carriage might be.